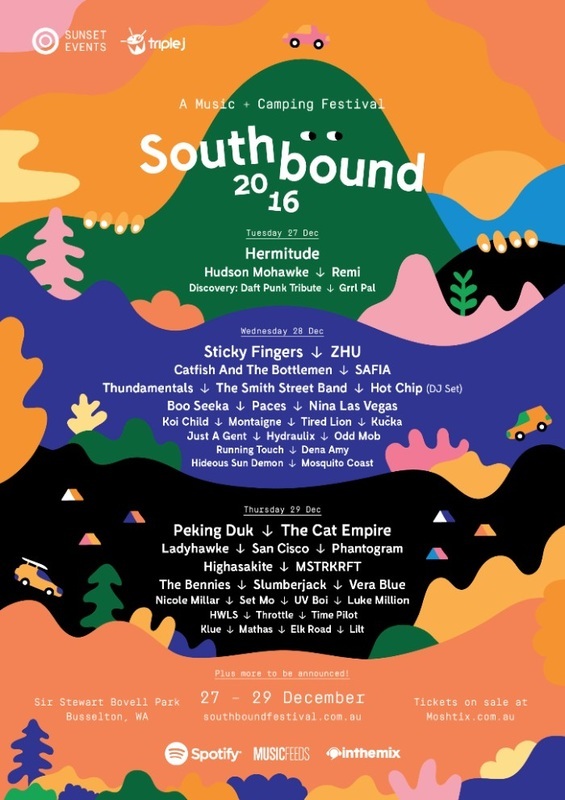 After recently dropping snippets from the line up, including Hermitude and a plethora of WA’s finest, Southbound 2016 has added a huge stack of names resulting in the most artists in the festival’s history. And there are still more to be announced! For Western Australians, the festive holiday period is synonymous with the South West corner of our fair state. As such, Southbound organisers have locked in the period between Christmas and New Years as the new dates of the festival for 2016 and in years to come. The Southbound team are calling out to their loyal supporters to help to rebuild and improve the event due to the subsequent impact of January’s fires and to continue the festival legacy and its future with these new dates.